Click through our photo gallery to glimpse the lifestyle you dream of. Don't forget to explore our high class amenities! Scroll through photos of our vivacious community, Visconti at Camelback, located in Scottsdale, AZ. Our team can't wait to welcome you to your new home. Unwind in our clubhouse with a private movie theater and pool table. Utilize our unique amenities like a yoga studio you can get a stretch in, or practice your dance moves. 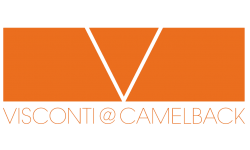 Our priority is making sure you enjoy your living experience at Visconti at Camelback. Call and schedule a tour so you can see our one and two bedrooms for rent.